Irish Dance for beginners from age 4 and up. Wow, the classes are completely different to what I expected. Welcome to the Cabe Academy of Irish Dance. 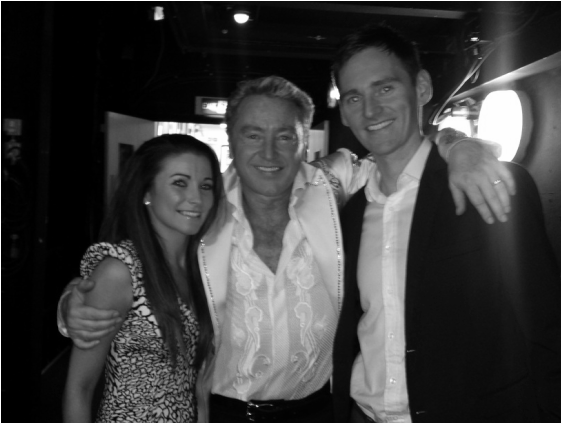 Aisling and David McCabe were the principal dancers in Michael Flatley's Lord of the Dance for over 15 years. They launched their Academy in September 2013. They aim to teach excellence in traditional and contemporary Irish Dance in a fun and interesting way. As they like to say "teaching the FUNdamentals of Dance". The beautiful thing about Irish Dancing is that it enhances the development of children on so many different levels. Students learn discipline, health & fitness and social skills. It can also improve other children's activities through strong balance, coordination skills, and improving agility. Dancing has taken Aisling and David McCabe all over the world. They starred in Lord of the Dance for years, and are now ready to pass on all they know to the next generation. ​If you're looking for a great Dance school, with high energy lessons and fun packed classes, check out Cabe Academy. Cabe Academy strives to offer your child the very best Irish Dancing experience they can possibly have. So have a look around, find out a little more about them and see their gallery. Please feel free to contact them if you have any queries whatsoever. We have dance camps around Easter and again in the summer time, in Our Lady's Parish Centre in Castleknock. Keep up to date with dates and times here. See our short montage, on the right, of the fun and games the children had at last years camp. The goal of our camp is to bring the love of Irish Dance to children with a modern twist. This year we had a showcase at the end of our camp which went down a storm. Feel free to explore this website and have a look at our YouTube page. We're also on Facebook and Twitter. We hope you can see how much fun our camps are, and the shear enjoyment that they bring to the children. If you would like to find out about future camps, (we have mid-term & summer camps too) keep up to date here as places are limited.